GO MS No 57 Public Services – Recruitment – Minorities Welfare Department - Filling up of eighteen hundred and sixty three (1863) vacant posts in Telangana Minorities Residential Educational Institutions Society (TMREIS) through Direct Recruitment – Permission to the Telangana Residential Educational Institutions Recruitment Board (TREI-RB) – Orders – Issued. 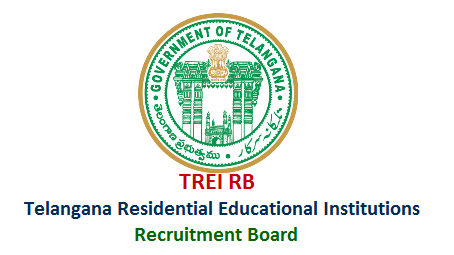 GO MS No 66 Public Services – Recruitment – School Education Department - Filling up of fifty five (55) vacant posts in Telangana State Residential Educational Institutions Society (TSREIS) through Direct Recruitment – Permission to the Telangana Residential Educational Institutions Recruitment Board (TREI-RB)–Orders – Issued. GO MS No 83 Public Services – Recruitment – Tribal Welfare Department - Filling up of eight hundred and sixty three (863) vacant posts in various categories in Degree Colleges under the control of Telangana Tribal Welfare Residential Educational Institutions Society (Gurukulam) (TTWREIS) by Direct Recruitment through the Telangana Residential Educational Institutions Recruitment Board (TREI-RB) – Orders – Issued.